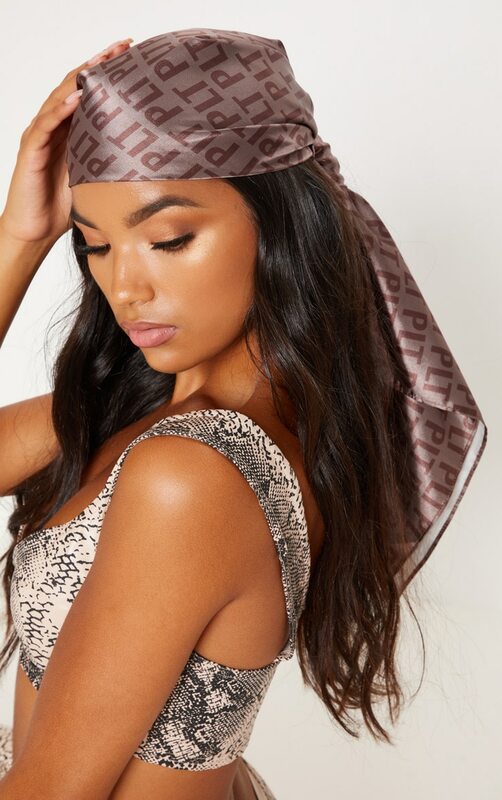 Get that ultimate boujee look with this must-have PRETTYLITTLETHING headscarf. 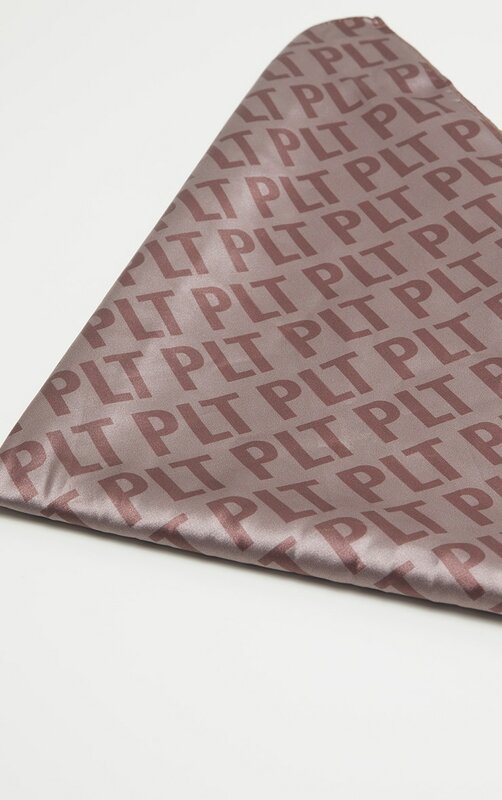 Featuring a brown satin material with a PRETTYLITTLETHING print design. 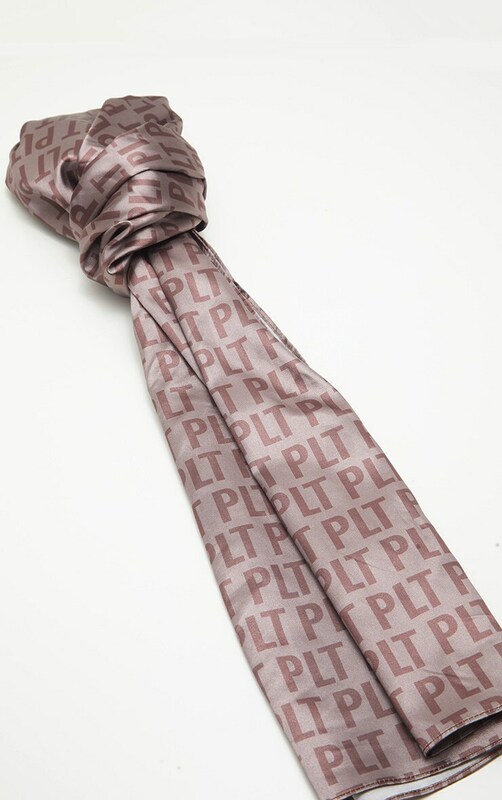 Style this with any off-duty outfit to steal all the stares girl.